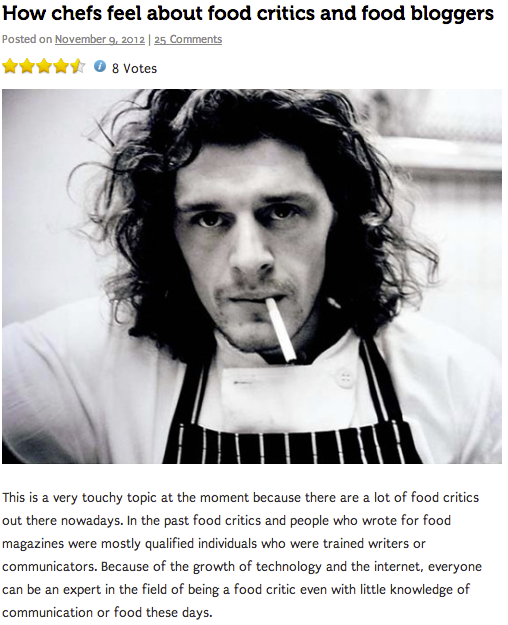 gastronommy.com: "Do you know who I am?" 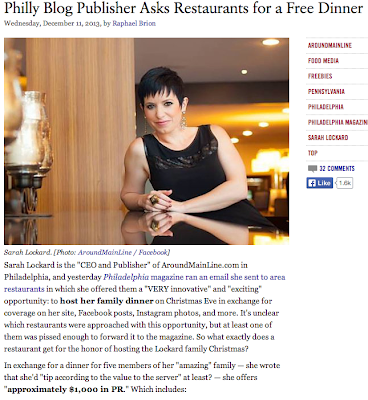 It's complicated: The messy relationship between business owners, journalists, and bloggers. When I was young, shortly before the dawn of The Blogger, I was shocked by the number of requests for complimentary meals from media when I first started with our restaurants in Hong Kong. One particular writer from one particular established print publication in Hong Kong actually came for his FOOD tasting, but ended up coming for what he seemed to think was an endless free wine session. -but you know, we should be 'honored' to have his presence and potential write up. Now almost four years later, we've seen a lot of evolutions on the media-front. Online presence is critical these days and bloggers are harnessing these newfound powers. Media outlets now have new roles for an Online Editor for the web versions of their publications. 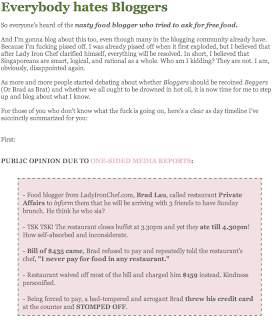 And there are blogs that provide netizens with helpful guides or interesting reading from their personal perspective. 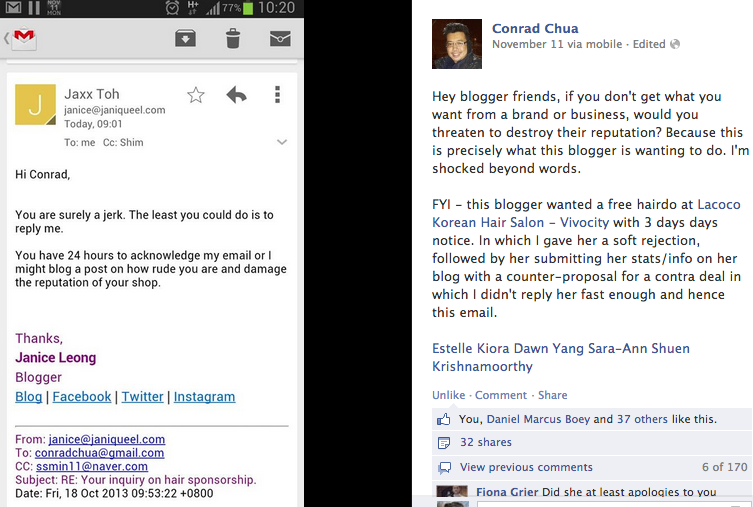 And then there are the quickly escalating numbers of bloggers who blatantly ask for freebies... or else. "Respond to me about my freebies... or else." 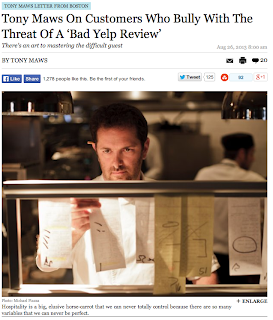 Yelper Complex: "Do you know who I am?!" 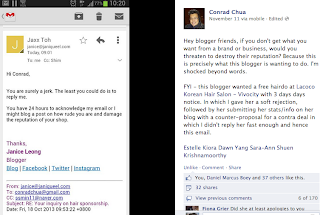 There are the bloggers and online media (sometimes untrained or inexperienced journalists) who ask more nicely. This is an evolving matter concerning the levels of acceptableness, since sometimes it is indeed mutually beneficial for a business and online outlet to work together. 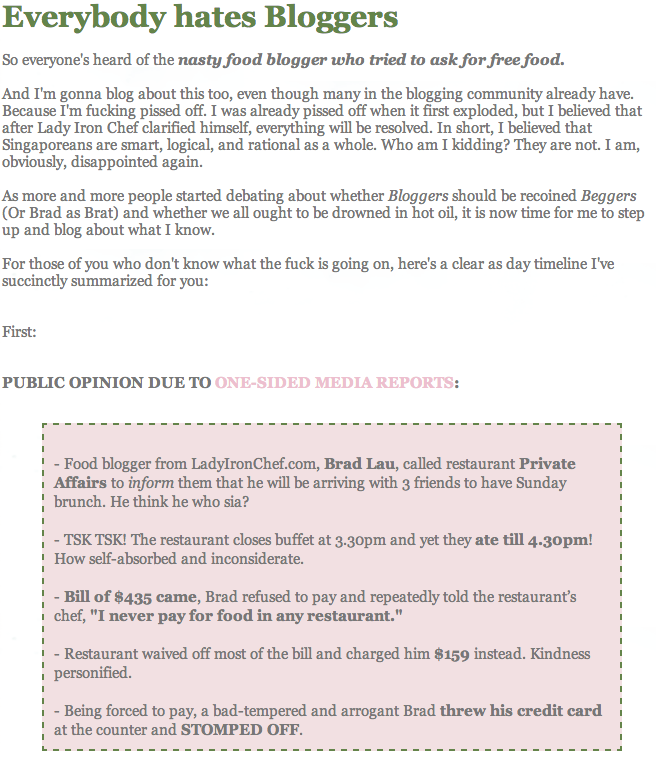 A defense of the blogger LadyIronChef, by Singapore's blogging queen Xiaxue. 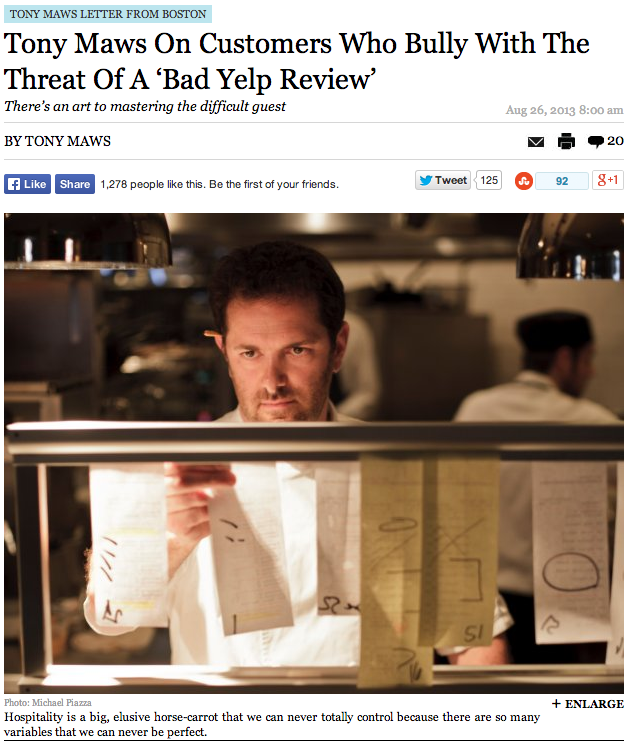 Having worked on all three sides of the matter over the past decade: restaurateur, writer/editor, and Gastronommy, I can tell you that my opinions and personal standards with this issue can get a bit complex. Throw in the whole situation about "responsible blogging", and it becomes an even lengthier discussion.